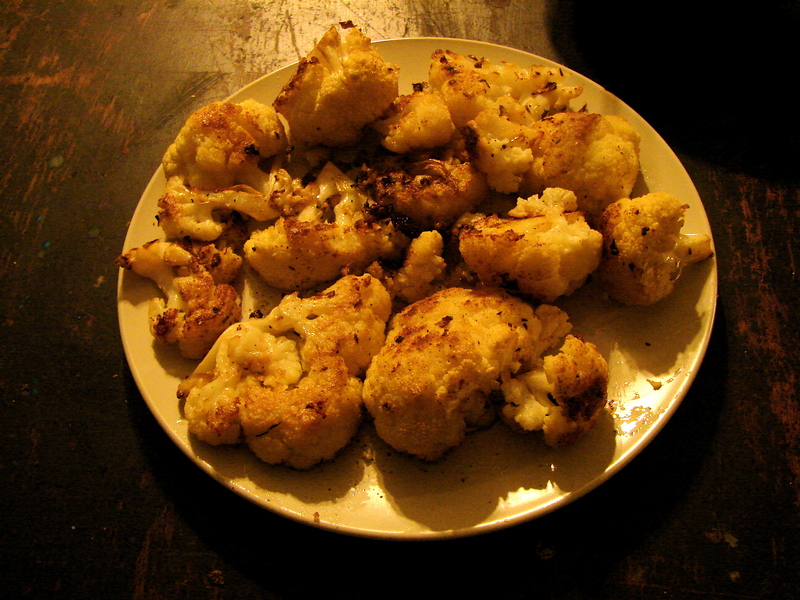 Usually when I roast cauliflower I cut the florets into small pieces, so that everything gets crispy and brown. Sometimes, however, it’s nice to leave them thick and steak-y. The outside gets caramelized and the inside stays tender and juicy. They can take the center of attention on your plate, like a real steak, but they’re equally comfortable sitting off to the side as well. I drizzled them with brown butter, which I’d mixed with fresh rosemary and chopped caraway seeds. Fast and delicious! Here’s Mr Brown, by Bob Marley, one of my favorite songs ever! I like the idea of walnuts and root vegetables combined in a soup – all this earthy nutty sweetness called to mind a meal you could make after foraging for nuts and roots on an autumn day. I could imagine Peter Rabbit’s mother making this soup, or maybe Mole of Mole end. 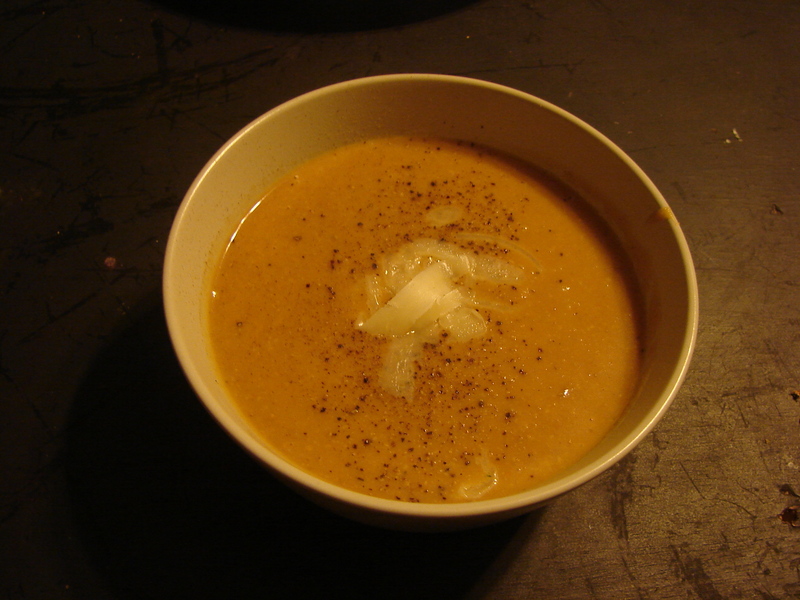 This is a smooth, tawny soup. 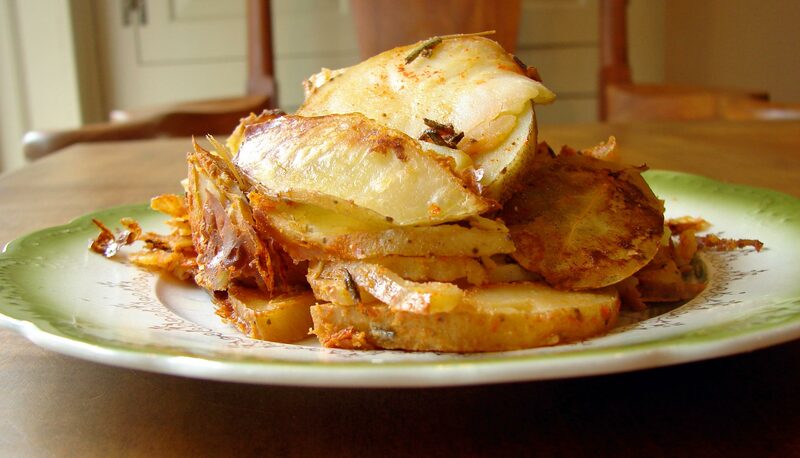 It’s flavored with caraway seeds and thyme, which is a delicious and mysterious combination – they combine to make something quite different from their familiar, individual tastes. I made a rich flavorful broth, with french lentils, mushrooms, tomato paste, tamari and marmite, but you could use any vegetable broth you like. 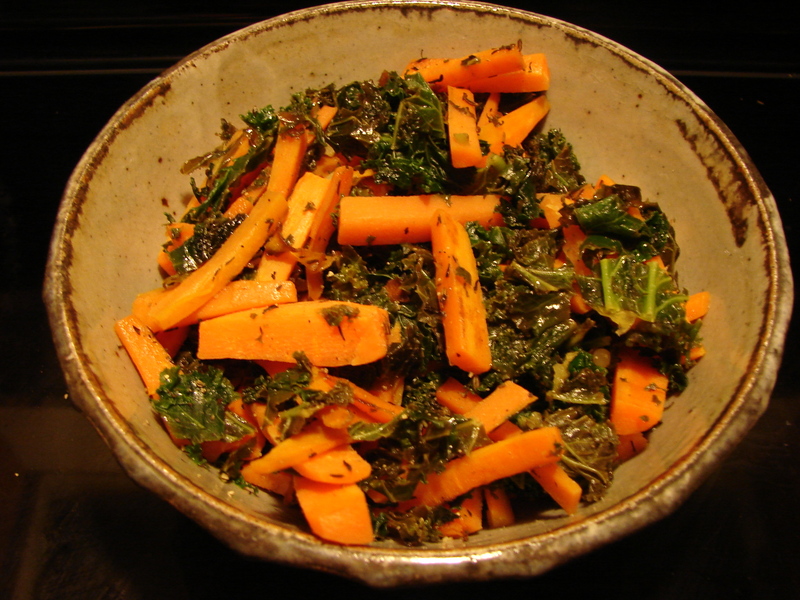 And the same goes for the root vegetables…I used quite a variety – turnips, parsnips, potatoes, sweet potatoes and carrots… but you could narrow it down to a few favorites if you like. 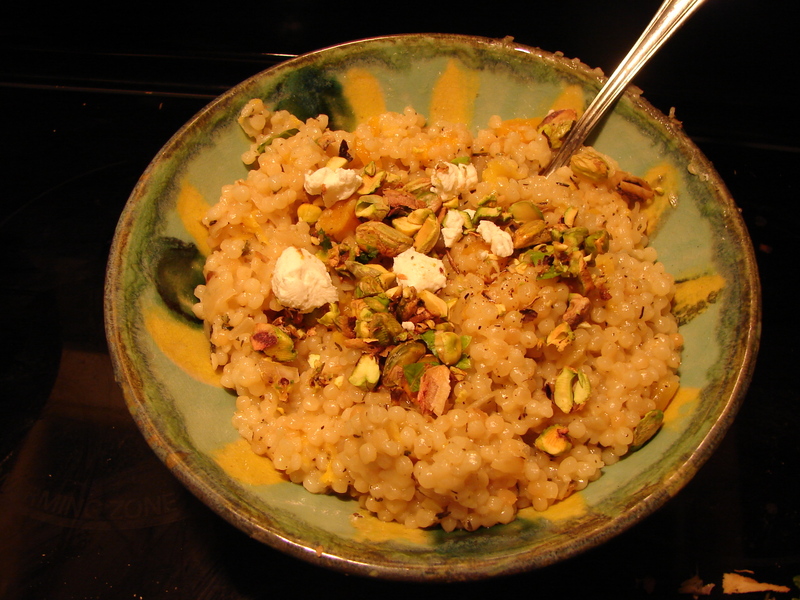 Serve with shavings of good sharp cheddar, which goes well with caraway seeds and walnuts, and contrasts nicely with the sweetness of the vegetables. Here’s Jimmy Smith’s killer Root Down (and get it). Guess who sampled this?